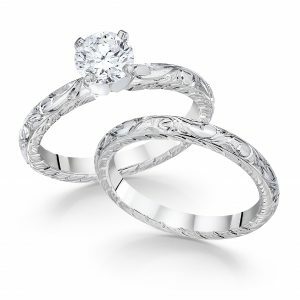 Insuring Your Wedding and Engagement Rings - Jeff Johnson & Co. Your engagement and wedding rings are likely the most valuable jewelry you own. Insuring them is well worth the investment—and easier than you might think. To help you get started, we’ve answered some common questions about the process. Ring insurance can protect your wedding band and engagement ring from damage, loss or theft. The level of coverage varies by policy, so it’s important to research your options. Your homeowner’s or renter’s insurance policy may help cover the cost of stolen jewelry, or you may want to purchase additional coverage for your rings to insure the full appraised value. How much does ring insurance cost? The cost of ring insurance varies depending on the insurance policy and where you live, but plan on an annual rate of 1 to 2 percent of the ring’s value. For example, a ring that’s worth $5,000 would likely cost between $50 to $100 a year to insure. You may be able to keep the cost down by installing a home security system or storing your rings in a safe or vault when they’re not on your finger. What steps should I take when purchasing ring insurance? Check your current coverage. If you have a renter’s or homeowner’s policy, it may provide limited coverage for jewelry, or you may be able to purchase an extension to cover your ring. Just be sure to read the entire personal property policy to determine if the coverage is sufficient. Get an appraisal. Have your rings appraised by a reputable company that uses the appropriate form and includes all the necessary information. Research your insurance options. It’s important to fully understand the level of coverage provided. Ask specific questions about what is and isn’t covered, how coverage is provided, and what’s needed to make a claim. Ring insurance is appropriate for any couple with rings that hold considerable financial or sentimental value. If you choose to purchase ring insurance, keep a copy of your appraisals, receipts and photos in case you need to file a claim. You can also take important steps to protect your jewelry by having it inspected regularly and by storing it in a safe place. Jeff Johnson & Co. is a full-service jeweler located in Upper Arlington, Ohio. We specialize in custom engagement rings, keepsakes for significant moments, and giving new life to family heirlooms. Our gemologists are trained by the Gemological Institute of America, and they work closely with each customer to ensure that we meet your vision and beyond. Stop by our showroom at 5025 Arlington Centre Blvd. (off Henderson Road), call 614-459-8890, or www.jjandcompany.com. You can also follow us on Facebook at Jeff Johnson & Co.
Sunday and Monday: Closed to be with family.